This isn’t surprising. Each of us has our own unique blend of traits and strengths that determine who we are. But far from simply being abstract characteristics of a social stereotype, your character strengths are tangible resources that you can draw on to help you live the life you want to. Identifying and consciously finding ways to use your those strengths at work, at home and beyond, can help you find a deeper level of meaning, success and happiness. More than being good at IT or a whizz in the kitchen, your character strengths are the fundamental aspects of who you are. 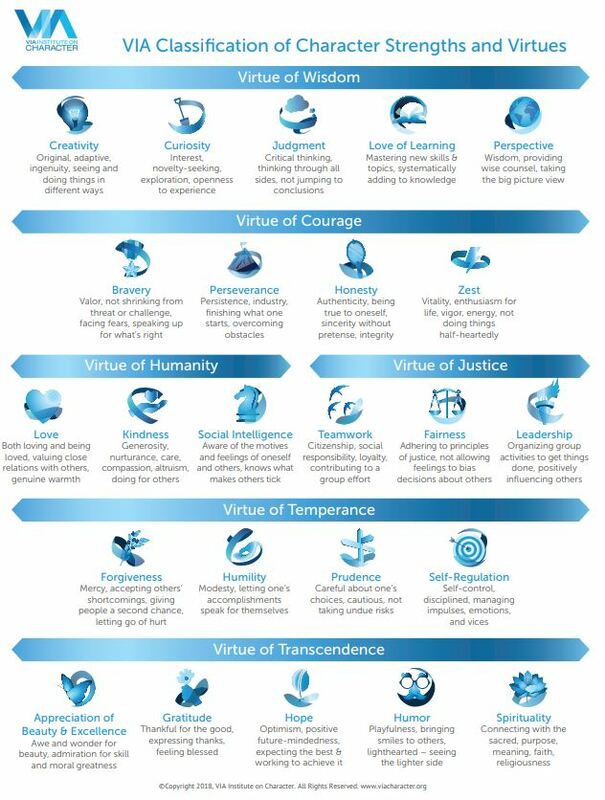 Dr. Martin Seligman, often considered the father of Positive Psychology, and Dr. Christopher Peterson, determined 24 character strengths that we all have in varying degrees and combinations. Which ones do you recognise in yourself? 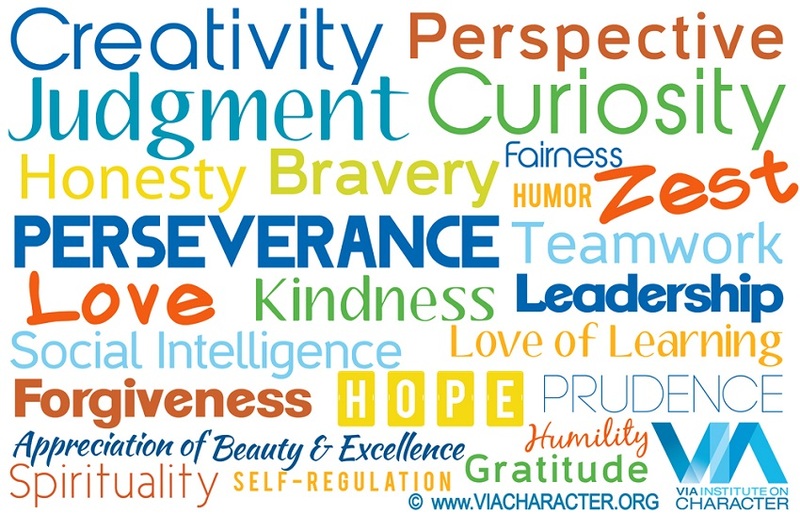 Discover your character strengths with the VIA Institute on Character Strengths Survey. By acknowledging and appreciating the strengths of others, we build more meaningful relationships, in which both people feel valued and understood. By recognising what others have to contribute, we empower them to exercise their character strengths and live their best possible life. With awareness of your strengths comes improved self-confidence, assertiveness and belief in your ability to handle whatever life throws at you. Too often we end up living on auto-pilot, carried from one situation to another without realising. Awareness of your strengths is the starting point for taking control of your life; how you want to live and who you want to be. Focusing on your strengths makes them stronger, helping you to be the best version of yourself. This is easier with a growth mindset. If you have a growth mindset you tend to view failure as a learning opportunity; a chance to grow and develop your skills. Someone with a fixed mindset believes that your abilities and talents are fixed from birth and can’t be adapted. What type of mindset do you have? The good news is, we can all have a growth mindset. It’s a skill we can learn like any other. Take the first step. Discover your strengths with the VIA Institute on Character Strengths Survey. Positive Psychology Coaching can help you identify your personal strengths and apply them to your life. Book your free 20-minute telephone consultation to find out more.